On clicking “Internet Activities”, user can view report of Visited Websites, Temp Files and cookies. 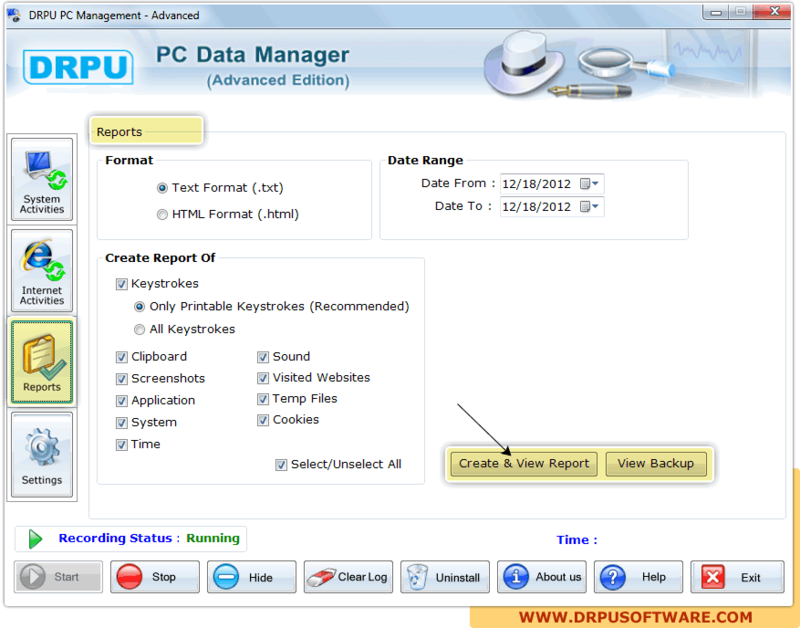 Click on “Reports” button to generate and view log report in either text or HTML file format with specified Date Range. 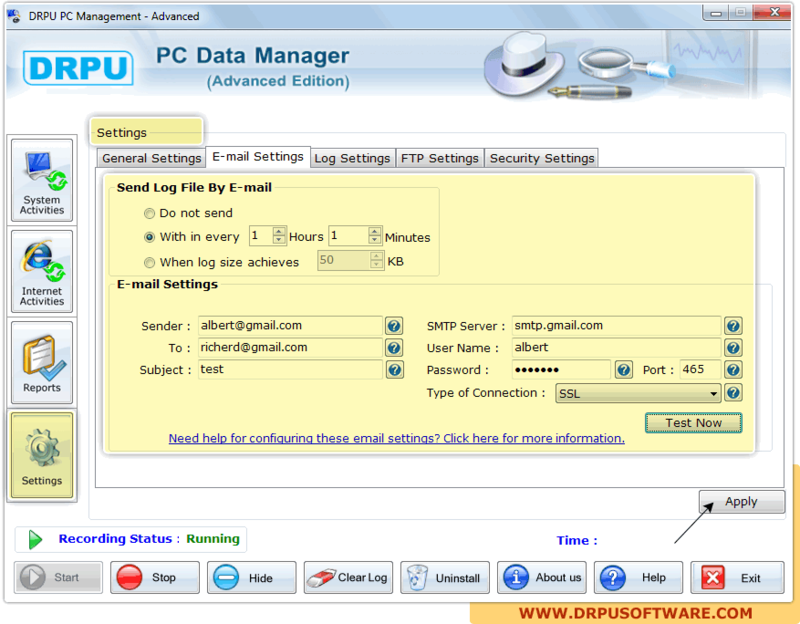 Click on "Settings” button to set ‘General Settings’, ‘Email Settings’, ‘Log Settings’, ‘FTP Settings’, ‘Security Settings’ as per need.